Never leave the house without the essentials again! 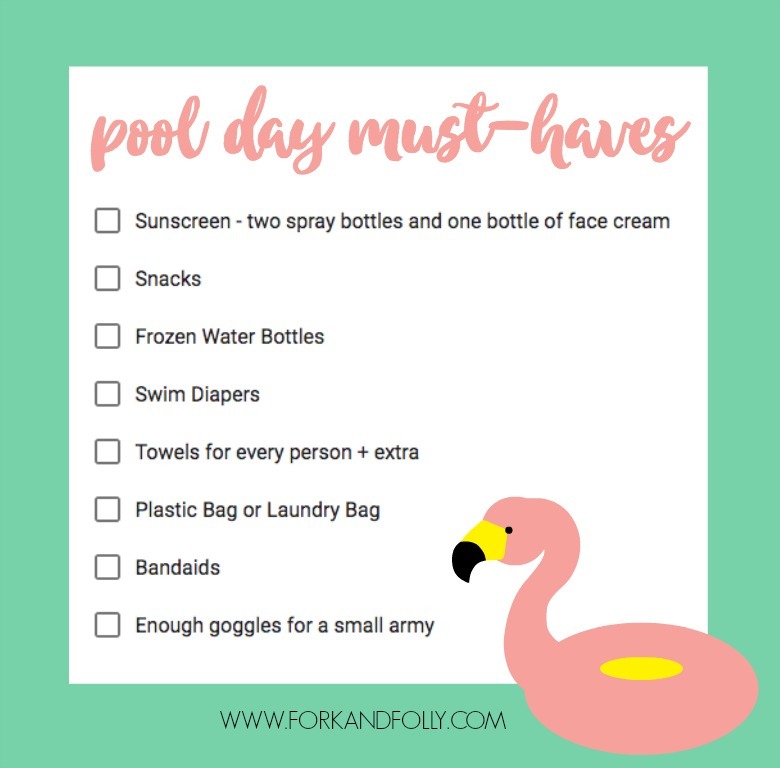 Ensure pool-day success with the ULTIMATE Pool Day Packing List for moms! 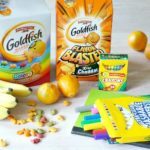 Including snack suggestions, cooler tricks and more! When you have three young children and you practically live in the pool for the summer, you become a pro at packing. 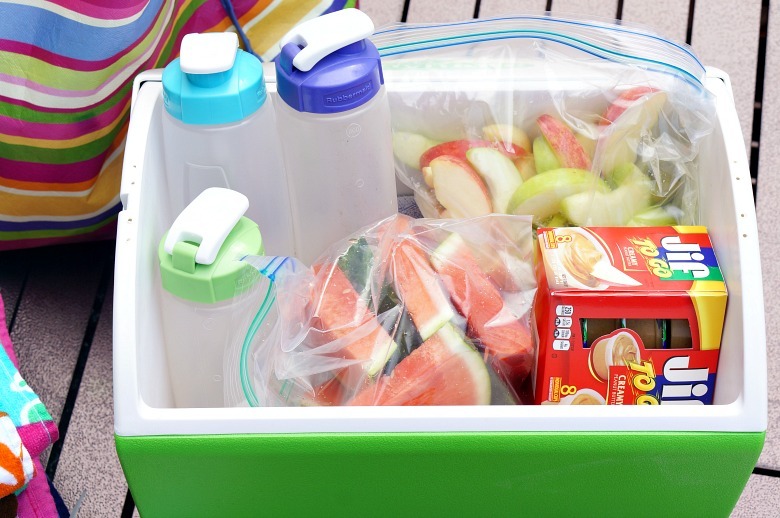 God forbid you forget snacks, swim diapers or…. GOGGLES. You’re day is ruined. Ruined, I tell you. 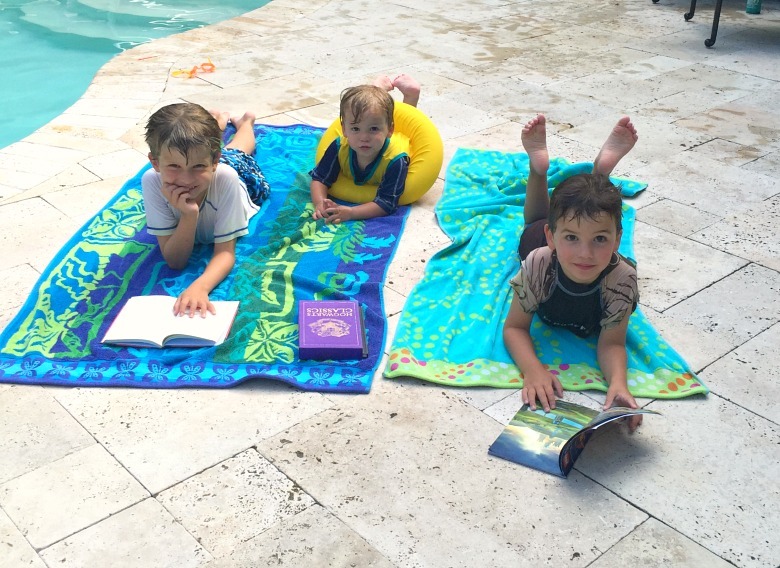 These days, when my crew heads to the pool for the day you know it. Whether it’s my boisterous crew or my large bag that I don’t dare part with… we’re a force to be reckoned with. Hello, Captain Obvious. I know, but for reelz. I cannot tell you how many times I’ve pulled out my sunscreen to realize it’s near empty, and I’ve got five bodies to cover head-to-toe. From now on, I always, (ALWAYS) bring two bottles of sunscreen spray and one bottle of sunscreen cream with me. There are some who may ridicule me for being a sunscreen spray monster (you know who you are), but I don’t care. When I’ve got it, we all stay burn-free. 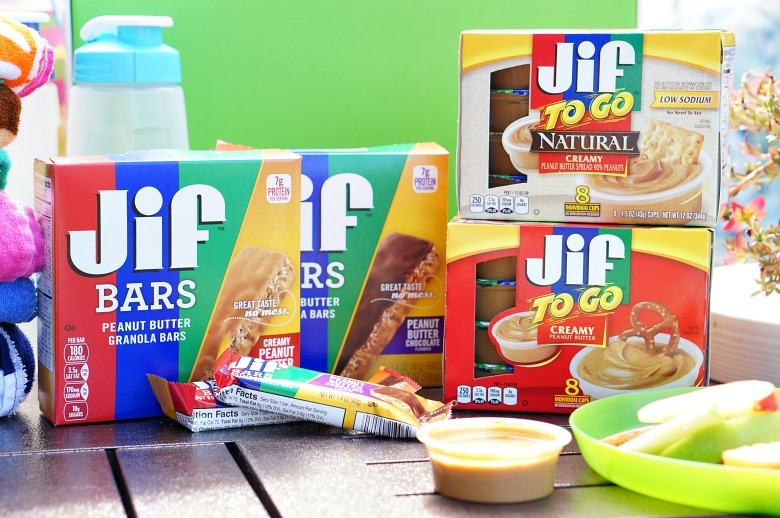 Have you see these awesome Jif To Go® cups on the shelf? It’s not just the right-sized cup, but it’s also perfect for dipping and easily fit into my cooler for the pool. We love pairing apple slices in them. In 90+ degree heat, it takes mere moments for a frozen water bottle to become delightfully cold ice water to enjoy pool-side. 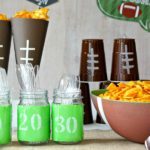 Plus, they are great to toss in the cooler and keep everything frosty ’til lunchtime. Bring enough for the crew! We’re all resting easy knowing that the poop is gonna stay where the poop needs to stay. We’re potty training, but I’m not gonna trust my toddler to interrupt his pool-time splashing for a toilet-break. And y’all… having the pool shut down because your kid just pooped in it is awkward. AWKWARD. The pool is the last place of trust for toddler hygiene habits, so bring a few swim diapers for the sake of all of us. It only takes a few days of traveling back to the house in wet swim clothes before my van starts smelling ripe. At least I think it was the wet clothes. To be honest, who knows what’s hiding in that back row. Regardless, we all feel better with dry undies and a fresh set of clothes after a long day of swim-time fun. Before you get all jealous, know that this lasted all of 30 seconds. At most. Have you ever been to a pool and been like… we have too many towels? Me neither. 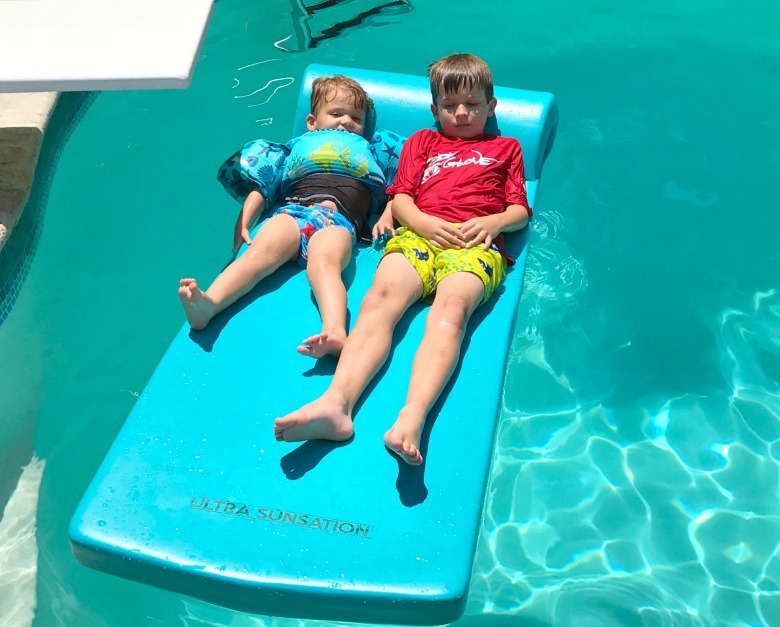 Whether you need them for picnicking, drying off, or as a head rest while getting a few minutes of chaise-time lounging (hah!!!! ), you’ll be glad you have a towel for every person and then some. At the end of the day, I toss all of our swimsuits and towels in the bag for immediate drop off in the laundry room upon return to the house. I’ll get to it. Eventually! I go through bandages like they are going out of style. I used to have a rule that you don’t get a band-aid unless there’s blood. Now, if it’ll get the kids to stop whining, I’ll slap a bandage on it. Hang nail? Mosquito bite? Itchy nose? All fixed by band-aids in my house. PS – I also keep a first aid kit in my car. It’s come in handy more times than I can count. Last but not least, GOGGLES! I hoard these by the dozen. Are your kids as google-crazed as mine are? 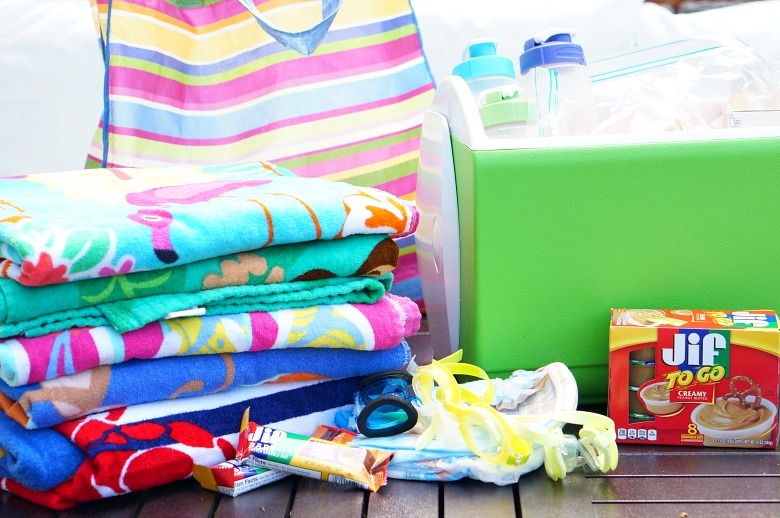 You can get all of these pool-day supplies, including JIF To Go® and Jif bars at Food Lion. 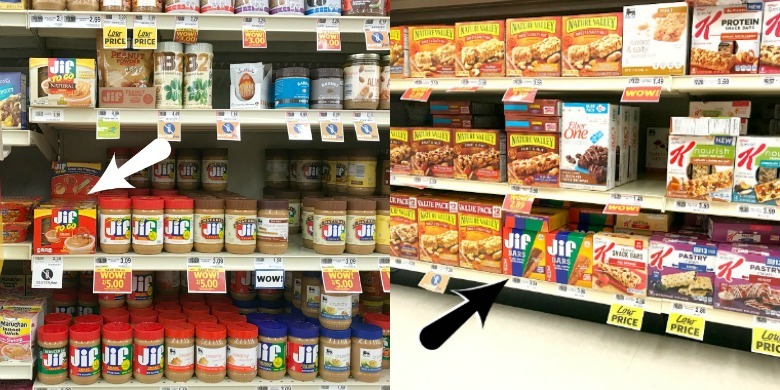 Be sure to grab this coupon for $0.50 off any Jif To Go® or Jif Bar item and $0.50 off any Jif Peanut Butter before you head to the store. Planning a trip? 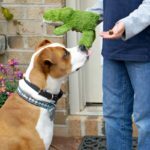 Here’s a great recipe for homemade trail mix! And, if you’re hitting the skies, don’t miss this ultra-list for packing for newborns! 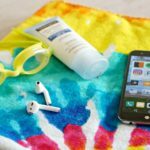 What are your pool-day essentials?